Do you want to help learners gain insights and create lasting learning? Thiagi says, “People don't learn from experience; they learn from reflecting on their experience.” Debriefing provides the reflection, in a structured way, that helps transfer learning to the job. Join us and learn how to stimulate discussion and help participants acquire learning insights; maintain a balance between structure and free discussion; and, encourage reflection that leads to action. This interactive session will provide you with tools and practice that will take your learning facilitation to the next level. Rhonda Askeland, President and Chief Results Strategist at AskRhon Consulting, is passionate about helping organizations achieve their goals through their people and leverage their human capital for improved business performance. She has focused her more than 20-year career around transforming human performance with a depth of knowledge and experience in organizational and leadership development, coaching, team building, and performance management. 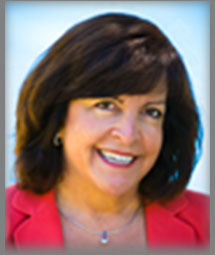 She is a dynamic facilitator and engaging executive coach who gets results.